Many independent billboard operators have increased their revenue by adding digital billboards. 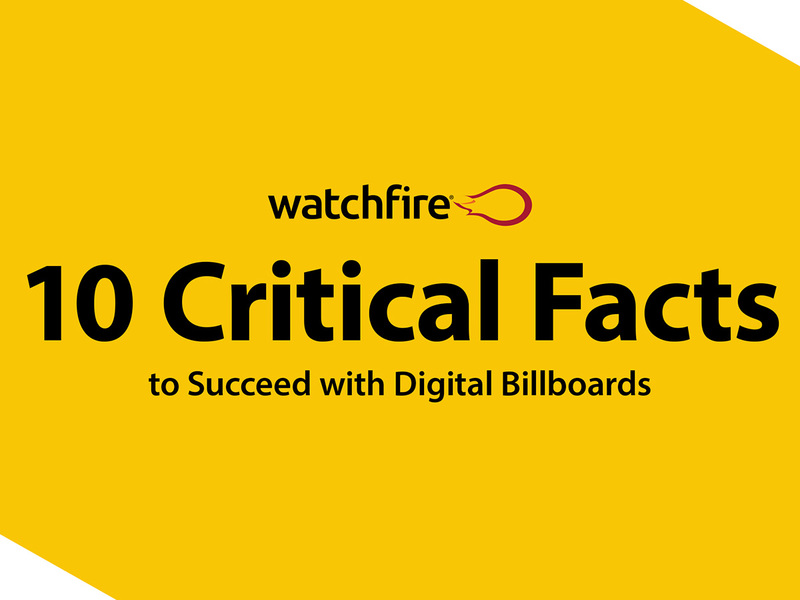 Download our free eBook to learn the 10 critical facts every billboard operator should know. The eBook will answer your questions about quality, reliability and earning potential. If you aren't competing with digital billboard faces in your market yet, you still have the opportunity to introduce this new medium and set an advertising trend in your region. And if digital is already making an impact in your market, we'll show you how to gain the upper hand with competitive advantages only Watchfire can offer. Learn about key technological differences between billboard manufacturers, as well as zoning and structural considerations, along with perhaps the most important aspect of going digital - making more money. If you want to take your billboard business to the next level - partner with the right display manufacturer. Do it right the first time and make this eBook your starting point. Fill out the form below for your free eBook.